Lately, we've been reporting about various deals involving the unlocked, international version of the LG G6 (which comes with 64 GB of storage space and no US warranty) - at one point, this handset was offered for $400. Now, we're glad to inform you that the US variant of the unlocked G6 is available for under $500, too, thanks to Best Buy. Best Buy is currently offering the LG G6 32 GB (US warranty included) for $449.99, in either black, or platinum. This is definitely an attractive deal, especially since LG's "recommended price" for the unlocked G6 is still $699 - just as it was a couple of months back, when the smartphone was first released stateside. Elsewhere, including at Amazon and B&H, you may be able to find the unlocked G6 for $499. 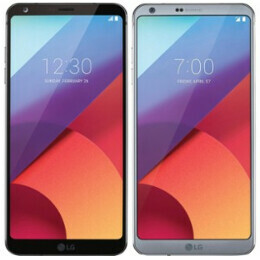 Since we're talking about the official US variant of the phone, the LG G6 that Best Buy is selling is compatible with most carriers: Verizon, AT&T, T-Mobile, Sprint, and so on. If you're interested in this new deal, you can order the unlocked LG G6 from Best Buy via the source link below. $300-$450 is what the MSRP should be at launch for all top tier smartphones. Hmm, I might need to check out that sale, thanks for sharing that point. It's frustrating & annoying that companies LIKE LG only releases the low 32gb version u the UK no 64gb option. What happens to the millions of LG and Samsung phones that don’t end up selling?? The wireless industry in Canada is very strange. Best Buy in the US sells unlocked flagship phones, but Best Buy in Canada does not. It must have to do with our ridiculous wireless regulations and governing body.